Twitter appears to be quietly rolling out a long-awaited, extra sneaky feature on its mobile app. 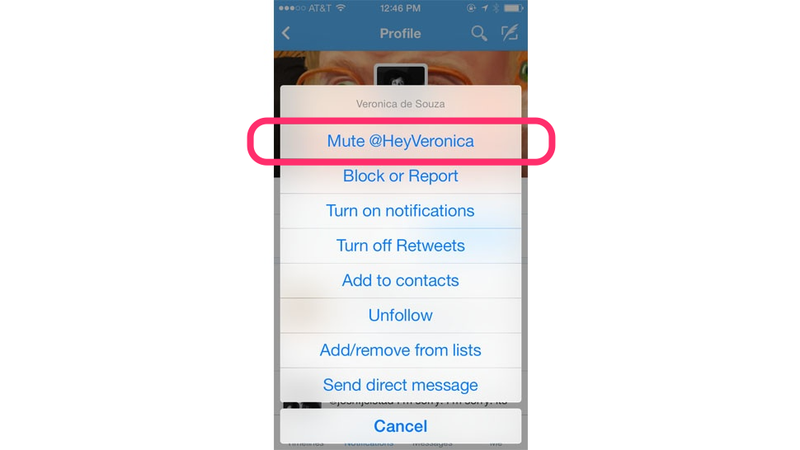 Now, users have been reporting a new option that lets you "mute" certain users. In other words, a totally undetectable unfollow. This way, though, if someone is going on a brief emotional rampage, you can quietly turn them off, wait until they've tired themselves out, and then turn them back on without the offending tweeter being any the wiser. Update 4:29pm: Twitter is not currently commenting on what appears to be the little "mute" experiment, but as always, with the many experiments they run, who knows if we'll ever see this turn into a user-wide rollout.